I talked about how Martin McDonagh made In Bruges very silly, yet bitingly real at the same time. His brother, John Michael McDonagh did the exact same with the Guard. There are more FBI films than I've had hot dinners, but to the best of my knowledge, only one set in rural county Galway. 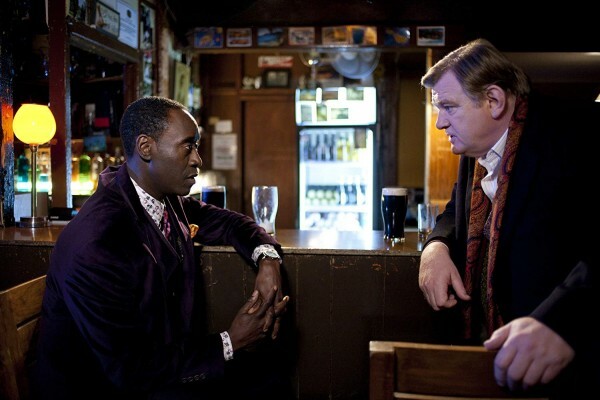 The Guard is a 2011 Irish crime comedy film directed by John Michael McDonagh and starring Brendan Gleeson, Don Cheadle and Mark Strong. 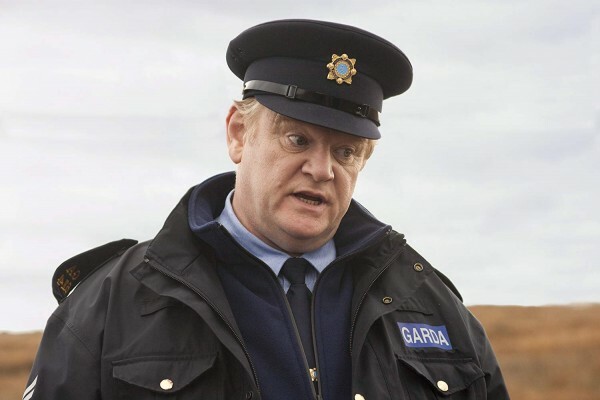 The film tells the story of Sgt Gerry Boyle (Gleeson) of the Garda (Irish police), an apathetic and nihilistic individual in a small town where precious little happens. However, when a man turns up murdered and an agent from the FBI (Cheadle) turns up to assist the Garda foil a drug smuggle, Boyle finally starts to put some effort into doing his job and maybe even eventually the right thing. The opening scene is a good gambit for how the film is going to go. Some teens are joyriding a car while drunk on Irish country roads while heavy music plays in the background. After a number of dynamic shots showing their drive, they speed past Boyle in his car and crash and he barely reacts. He finds the boys dead and removes some drugs from one boy's pocket to spare the feelings of his mother and helps himself to what appears to be a tab of acid. The juxtaposition between peaceful Irish countryside and high-octane action is expertly done and Boyle's lack of care for all of it rings true through the film. He runs on the belief that people take themselves too seriously and try to be something they're not. In watching this scene, we're exposed to two notions - nobody in this part of the world cares and what, if anything, can be done to make Boyle care? Boyle is assigned a new partner at the start of the film; a young aspiring cop from Dublin and sees him like he does everyone else - someone trying too hard to be something they are not. He softens to the guy, eventually, but not until after meeting the FBI agent, who has actually earned the right to act like he does. Boyle engages with him as he enjoys being able to tease such an important figure everyone else shows reverence to in his environment and the two spark up an unlikely friendship. Gleeson and Cheadle's chemistry is key and they have an almost brotherly companionship at times - grudgingly loving each other despite constantly getting on each others' nerves. The crime thriller is usually a high-octane or super serious affair. The Guard has both of these elements but also peppers the film with levity and realism which gives it a beating heart to make it a movie that sticks in the memory. So if you want a crime thriller FBI movie without any of the macho posturing endemic to the genre, and with plenty of hilarity and strangely touching scenes, the Guard is a film you need to watch this Christmas.